'Buffy the Vampire Slayer' reunites: See what the cast looks like two decades later! 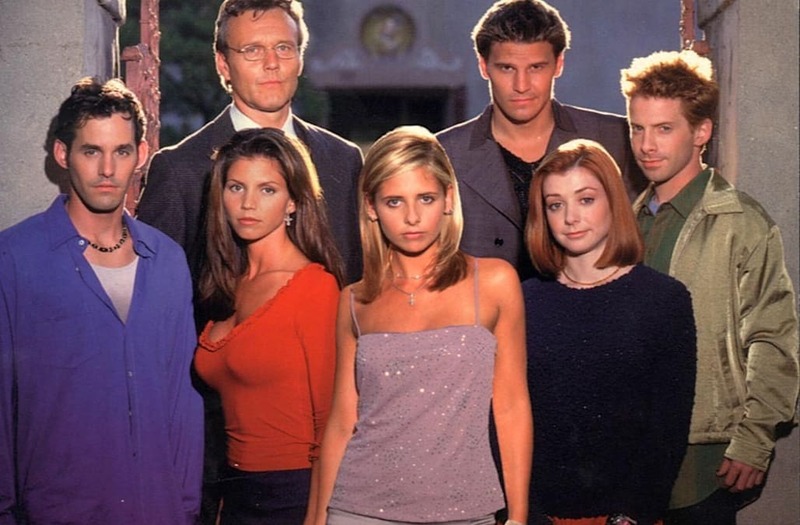 No, really: It's been two decades since "Buffy the Vampire Slayer" first premiered. Take a moment to process. You good now? In March 2017, star Sarah Michelle Gellar posted a heartfelt tribute to the show for its 20th anniversary, which got us thinking: Where's the rest of the Scooby Gang? Now take a look at the whole cast today! The cast reunited in 2017! Now 39, the star has two children with husband Freddie Prinze Jr.
...and she jumped back into "Buffy" mode for Entertainment Weekly! Post-"Buffy," he starred on "Bones" for more than a decade. Buffy and Angel reunited 20 years later! Sarah Michelle Gellar shared this shot of Buffy and Spike at the 20th anniversary shoot. The star has not only an acting career, but he's a musician as well. She starred on the ultra-popular "How I Met Your Mother" and reprised her famous role in the "American Pie" franchise, but her real priority is her family: Hannigan has two children and now mostly stays out of the limelight. Alyson Hannigan and Nicholas Brendon back in their "Buffy" days. Entertainment Weekly took this sultry shot of the grown-up Xander Harris. He had a recurring role on "Criminal Minds" and writes for the "Buffy Season 10" comic book!